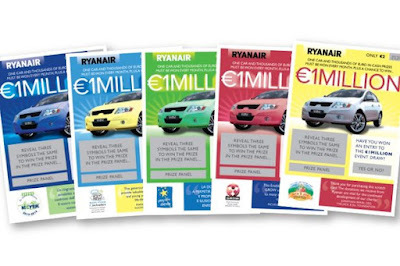 Ryanair run an on-flight scratch-card, where flight attendants ask if anyone wants to buy one for €2, with a % of that money going to charity and a prize of €1,000,000 up for grabs, along with other cash prizes and cars. I have just returned from holiday courtesy of Ryanair. During the flight, the cabin crew were punting the Ryanair charity scratch cards. They were selling them using the children's hospice charity CHAS which, they said, benefited from their sale. They also said that you had the chance of winning 1 million euro. They must have sold at least 25 cards on board our flight. 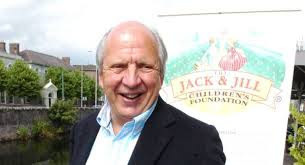 On later investigation, I discovered that in 2013 they sold about 16 million euro worth of scratch cards, and distributed 55,000 euro to charities, ie about 0.3%, or less than 1 cent for each 2 euro scratch card went to charity. 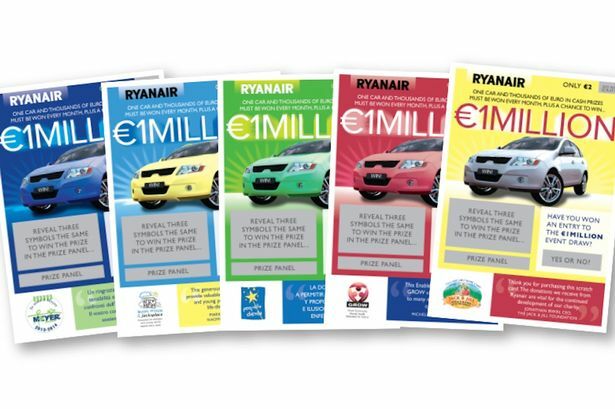 There is also only one card per year with the chance of winning the million euro, but if you are lucky enough to get this card, you are then invited to choose from 125 envelopes, only one of which has a cheque for 1 million euro. The million euro will only be won once every 125 years. This is an utterly cynical way for Michael O'Leary and Ryanair to increase their profits, using a children's cancer charity to do so. They could hardly stoop any lower. This post basically states that Ryanair are using the charity aspect & the difficulty of actually winning to primarily make profits with reportedly only 0.3% of income going to charities. To win the big prize you have to scratch a Yes on the card then enter a draw online. If you are the lucky one passenger a year to be picked, it’s not over. At an event you have to pick one of 125 ­envelopes – only one of which holds the jackpot cheque. The rest contain €10,000. 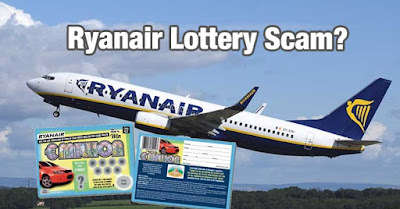 Ryanairdontcare claims Ryanair sells about 15 scratchcards per flight. At 1,600 flights a day that would add up to an ­estimated £12.5million. The site wants an investigation. Ryanair said: “Our scratch cards continue to generate very significant funds for charity. “We don’t disclose how many scratch cards are sold, as this is commercially sensitive. However, over the past five years Ryanair has donated over €2m to almost 50 charities across 12 different EU countries. These charities cover a wide range of hospitals, schools, child welfare and sports club fundraisings. Over the last 12 months alone more than €500,000 was donated to charitable causes.